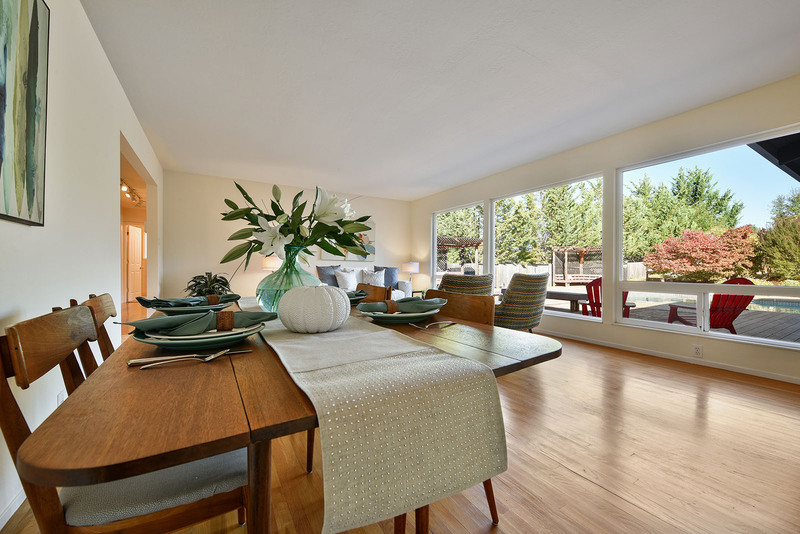 Set on almost an ½ acre lot, this Kenney built Atherton Model, 3 bedroom/ 2 baths, 2,233 sq. 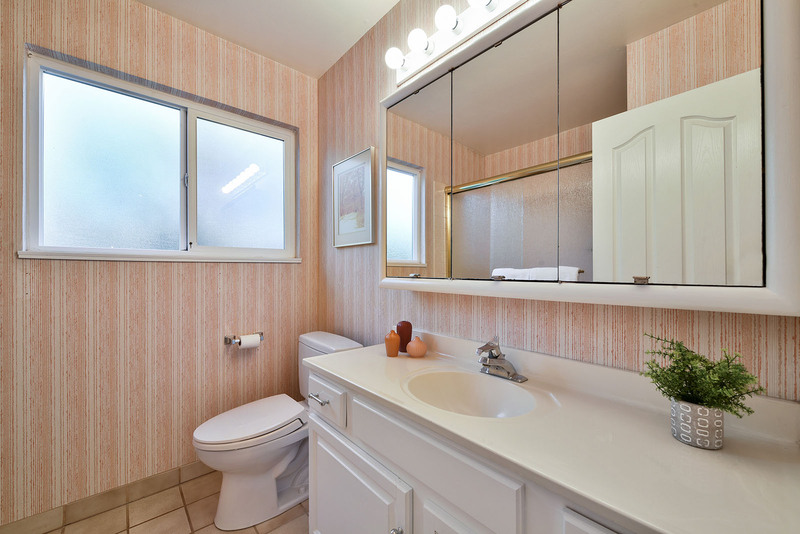 ft. home (per tax records) has it all. 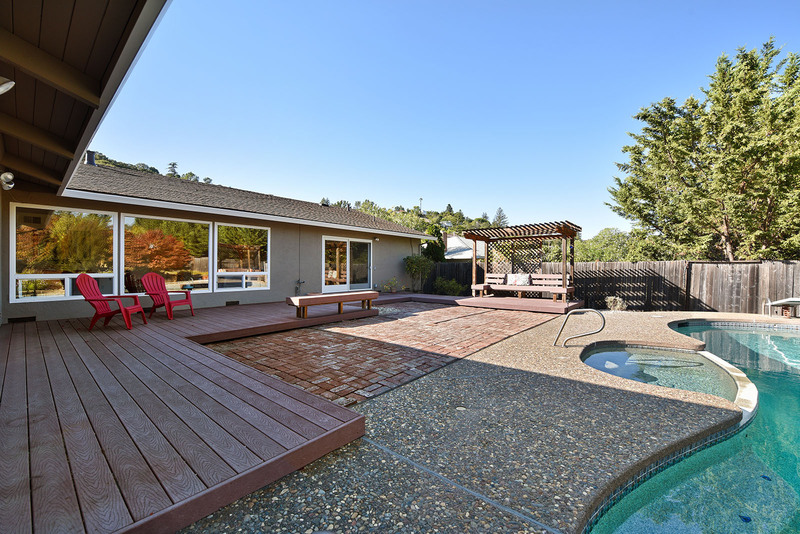 Welcome through a tiled entry into a large formal living room/dining room with hard wood floors and a wall of windows that looks out to the huge back yard featuring pool, deck, patio, and a gentle up-sloped lot with fruit trees and gorgeous view of hills. 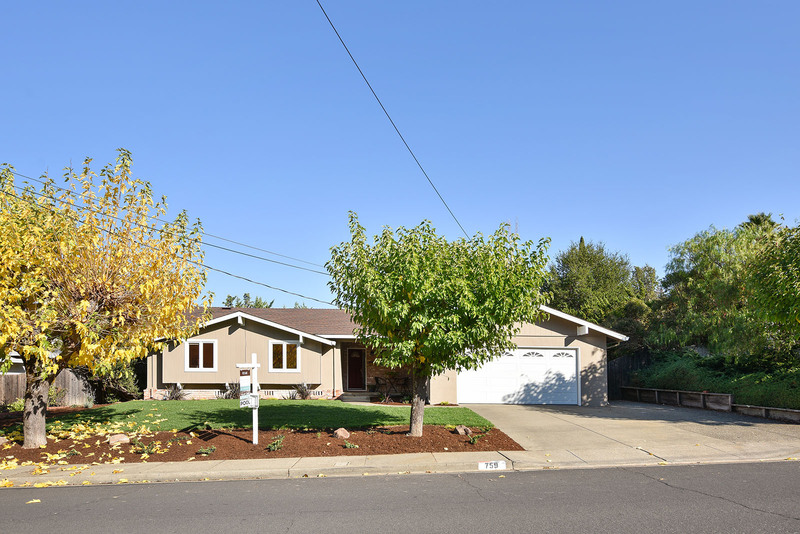 Continuing with a great floor plan, this single level home features 3 large bedrooms with hardwood floors (carpet in master), fresh paint and new carpeting in the two family rooms. 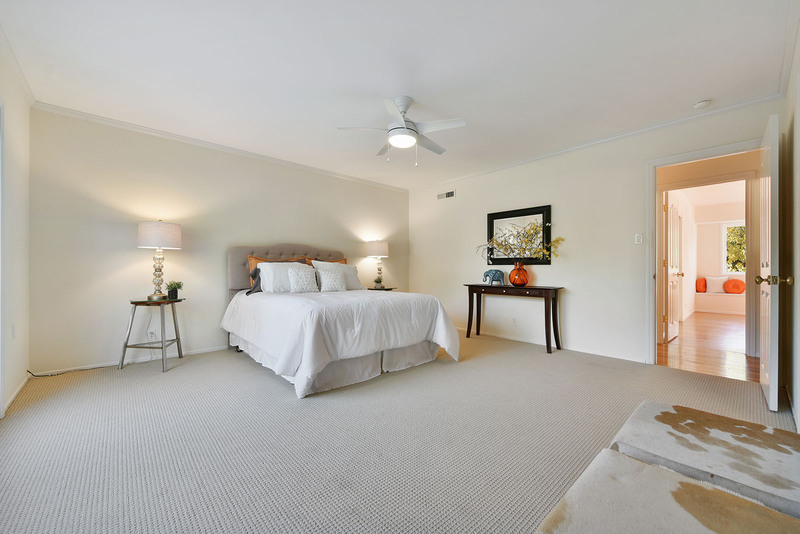 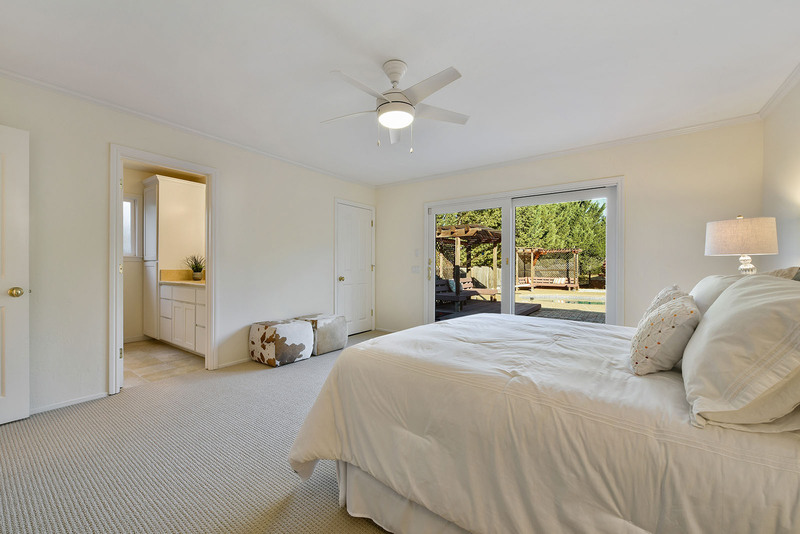 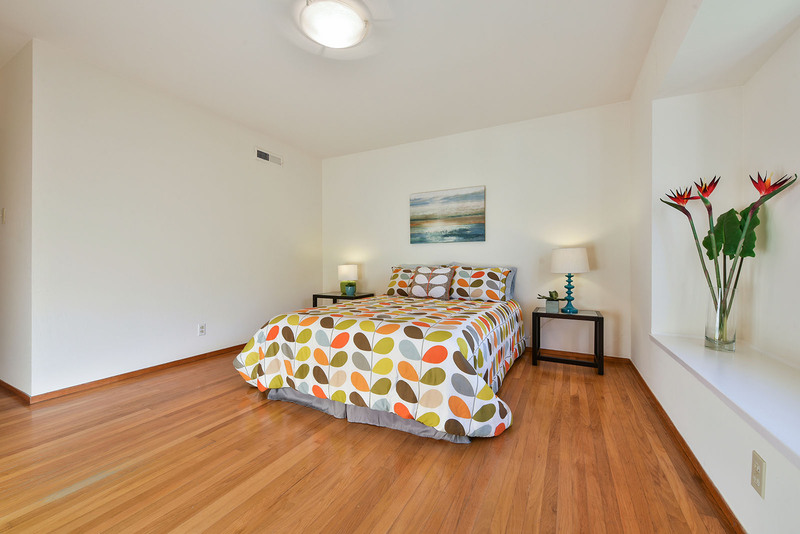 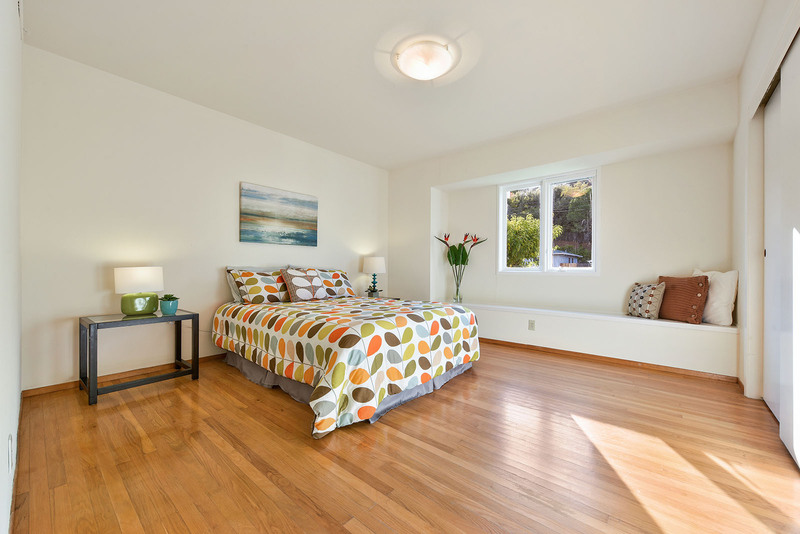 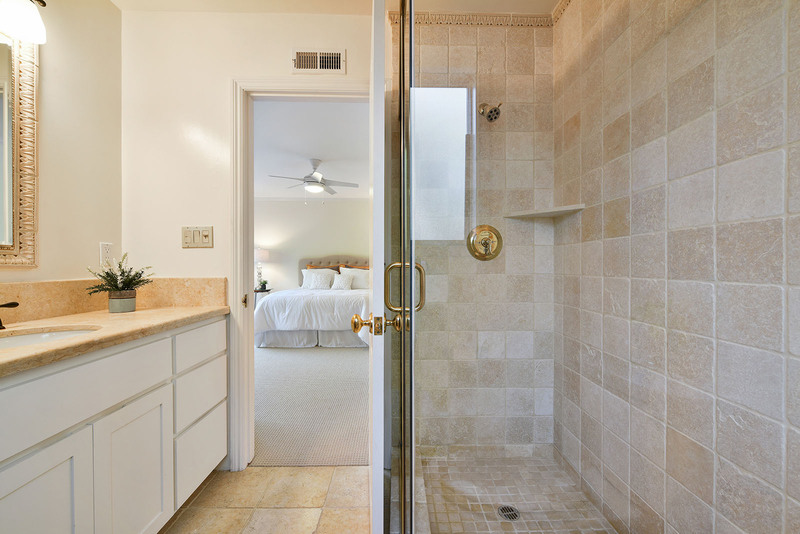 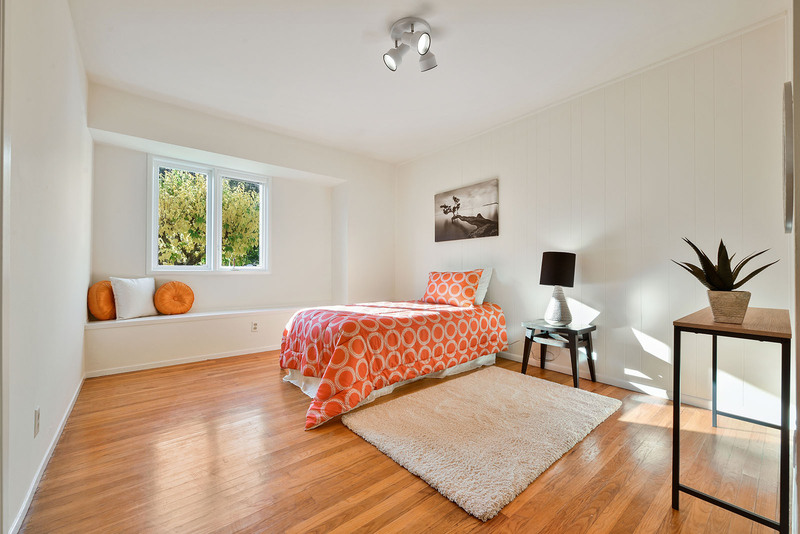 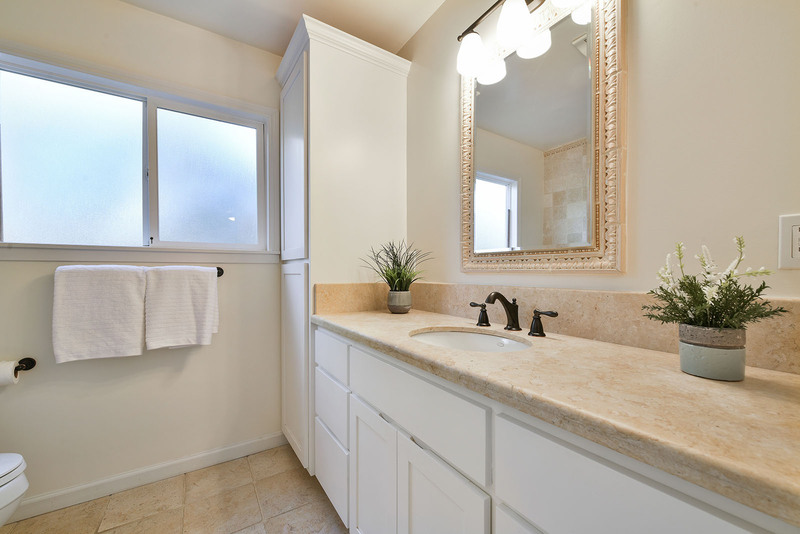 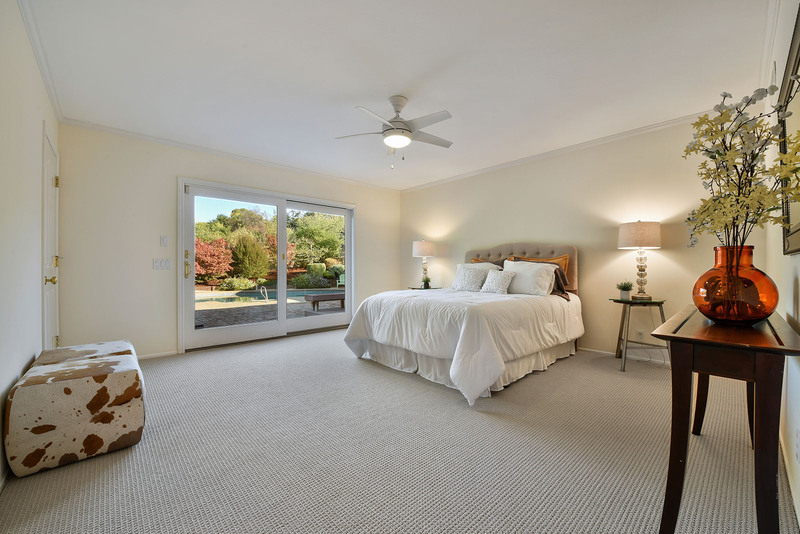 The master bedroom features an en- suite remodeled bath and includes a large walk-in closet and has a double-paned slider to a sunny huge back yard. 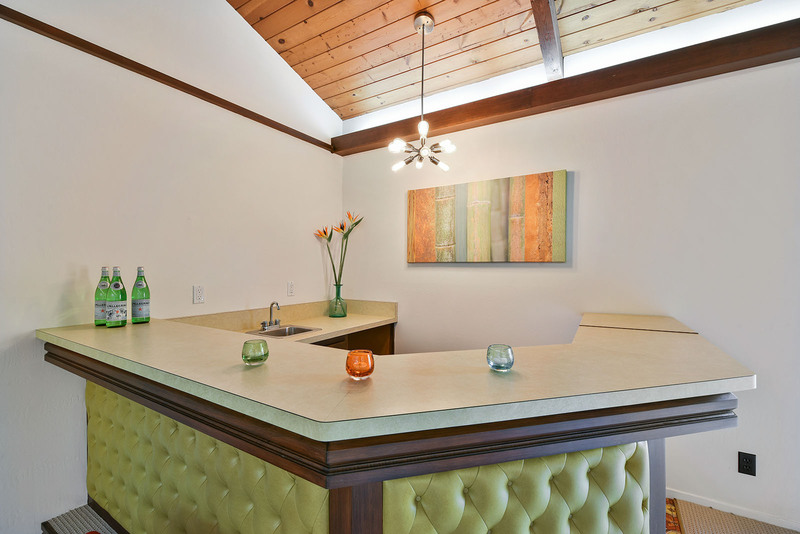 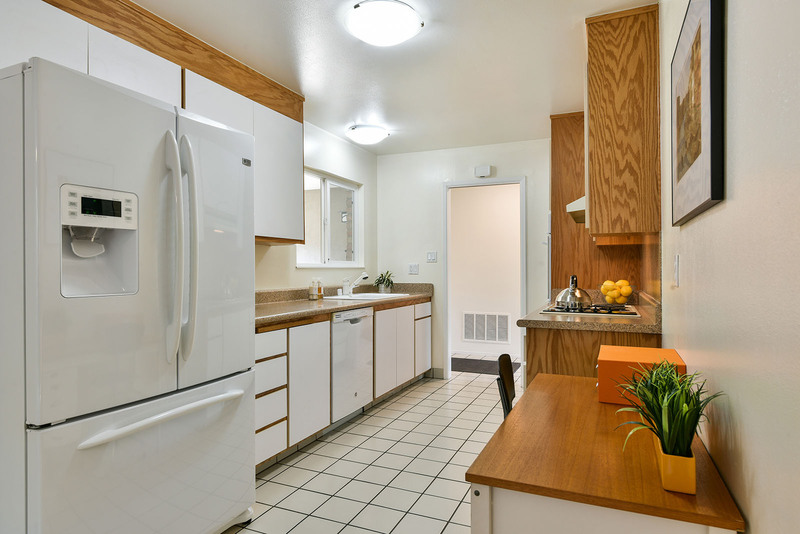 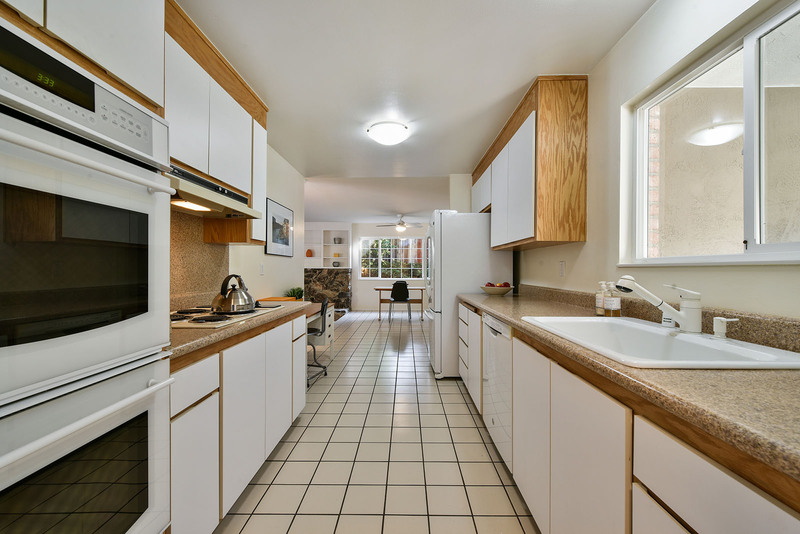 The eat-in-kitchen has been updated in the past, features a brand-new dishwasher and has access to a 2-car garage with extra storage space. 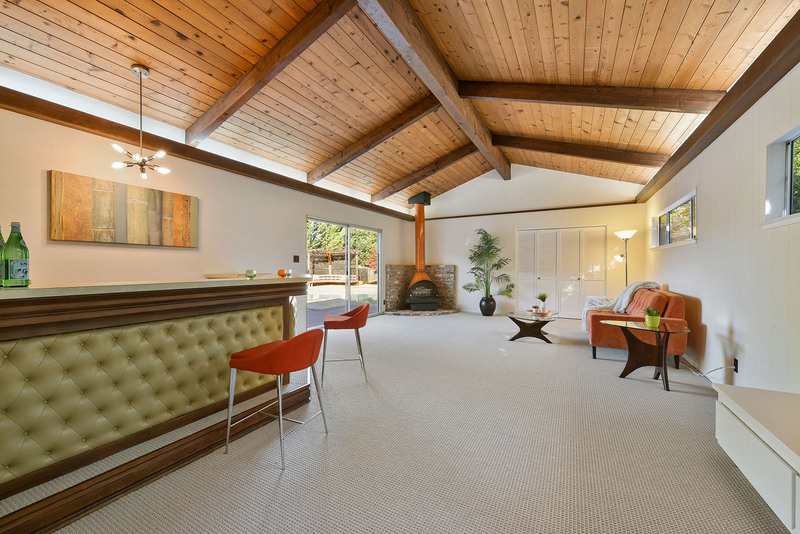 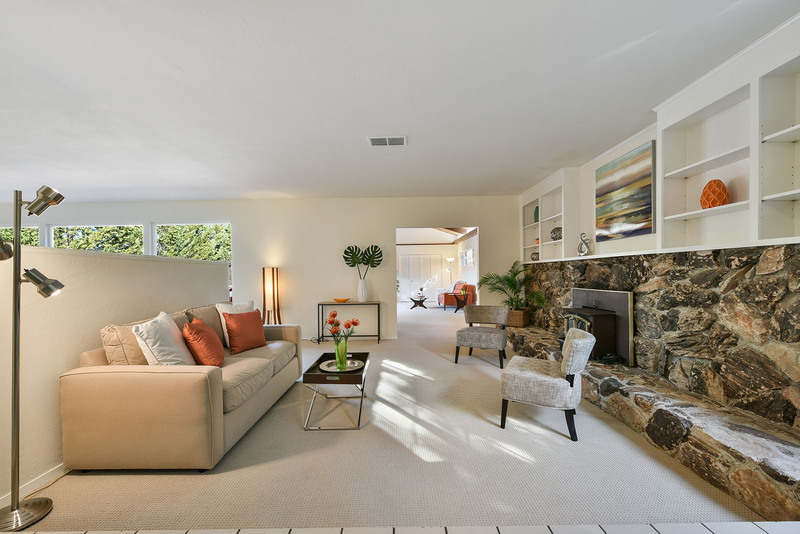 A family room with a wood burning stove features new carpet and built in bookcases and leads you into an extra- large family rec room complete with vintage wet bar, retro fireplace and access to the private resort style back yard! 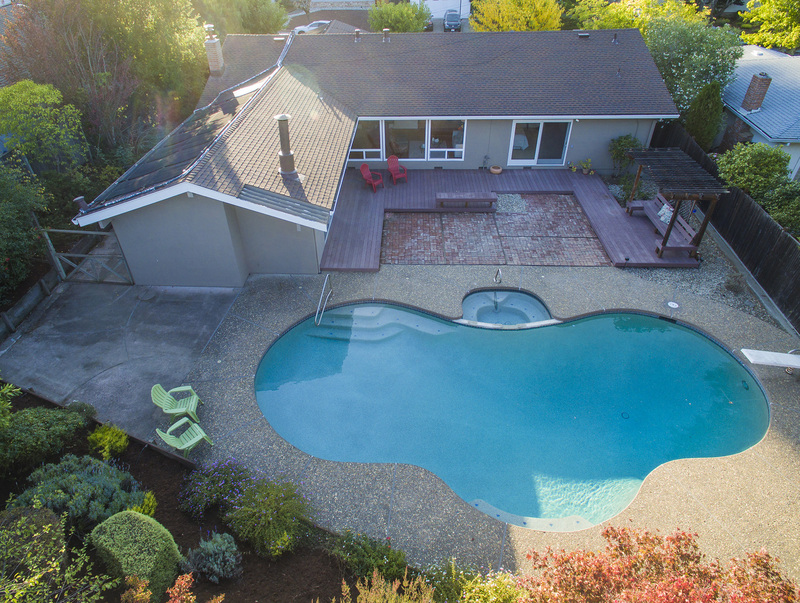 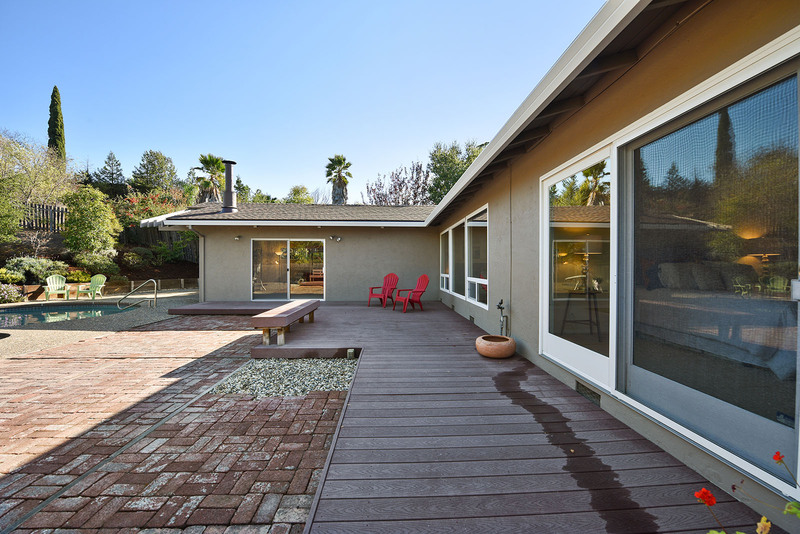 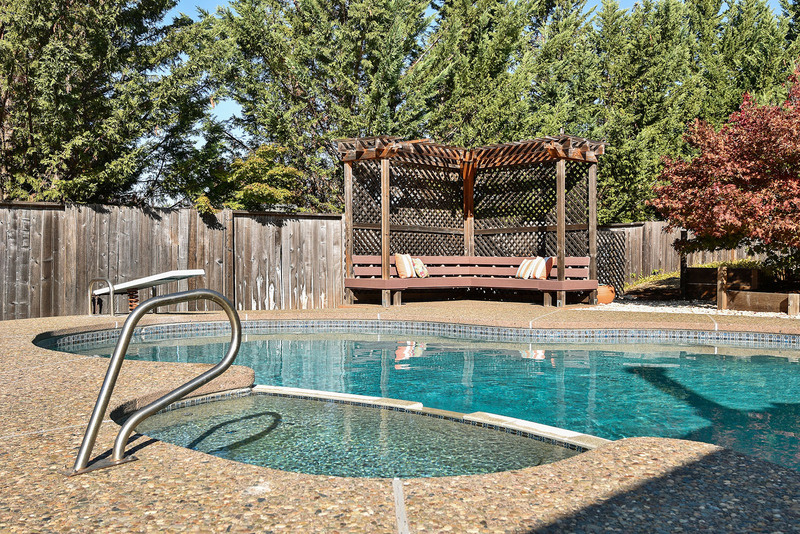 The decking is an easy to care for “trex style” deck and the pool has long lasting newer pebble Tec surface. 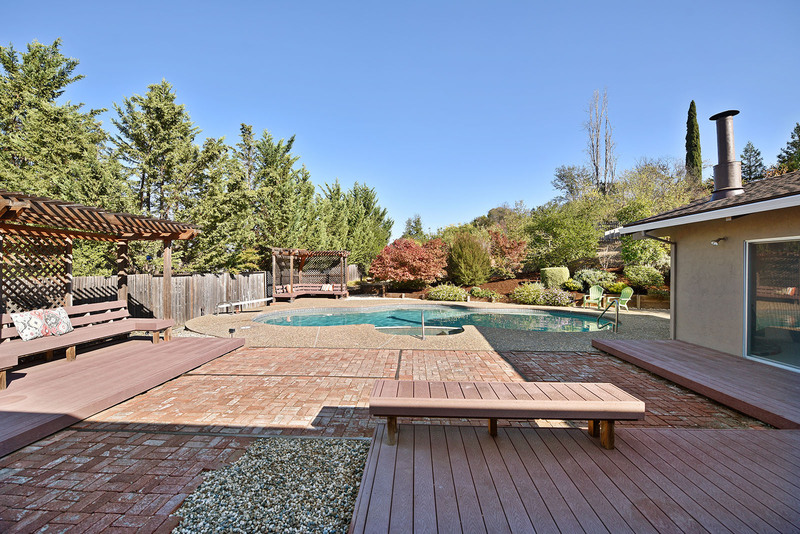 This yard is perfect for entertaining, fun, relaxing and gardening! 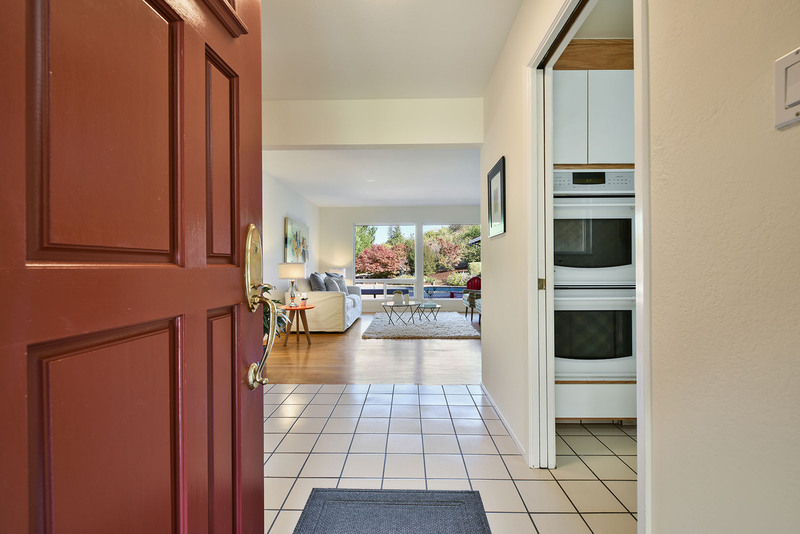 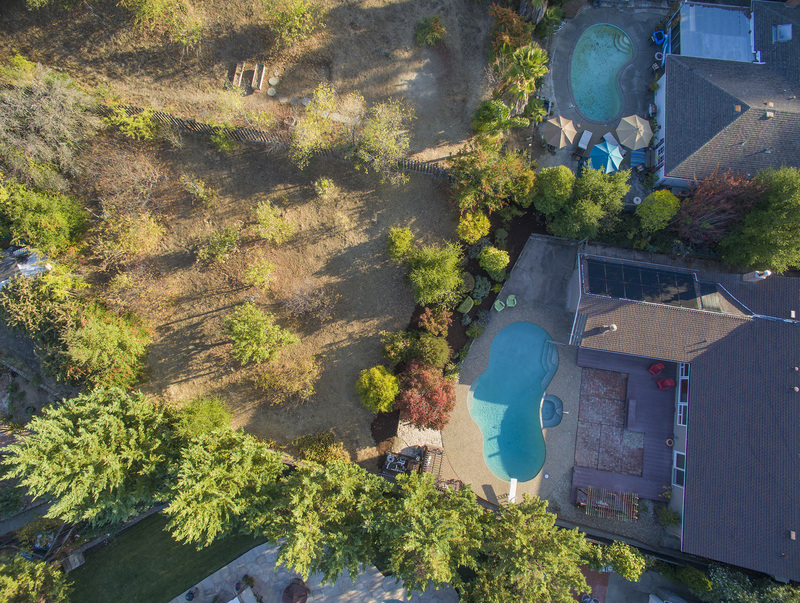 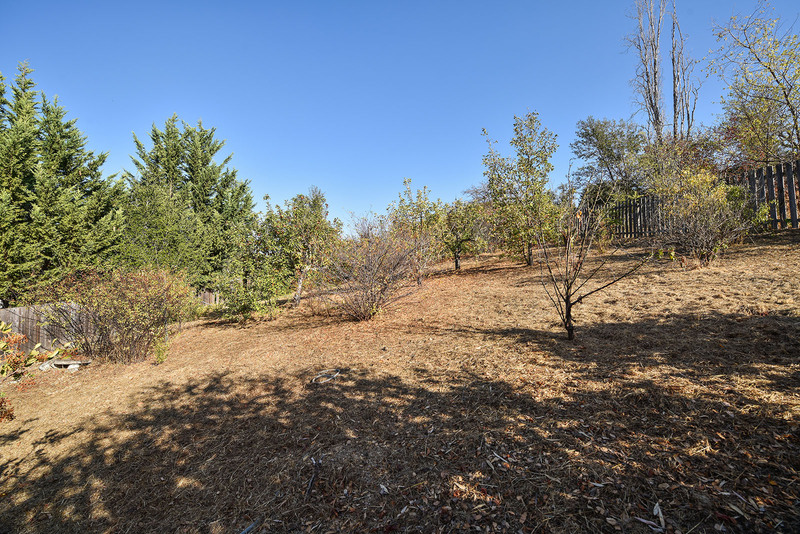 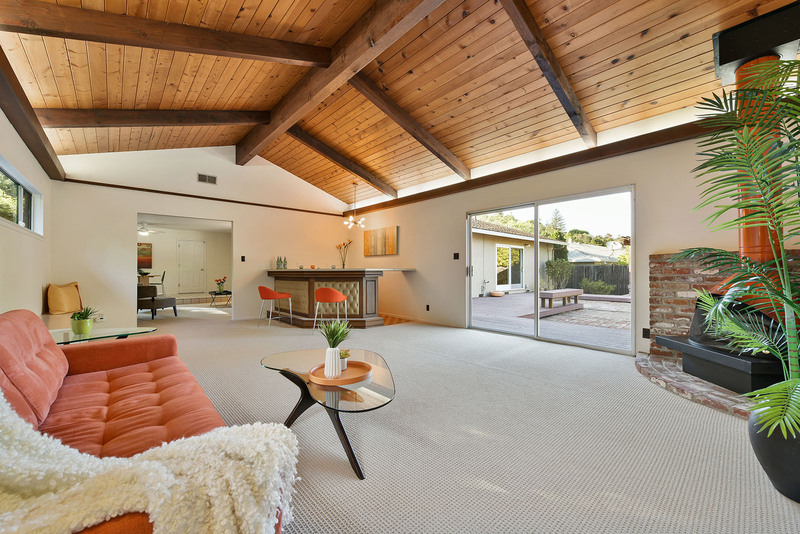 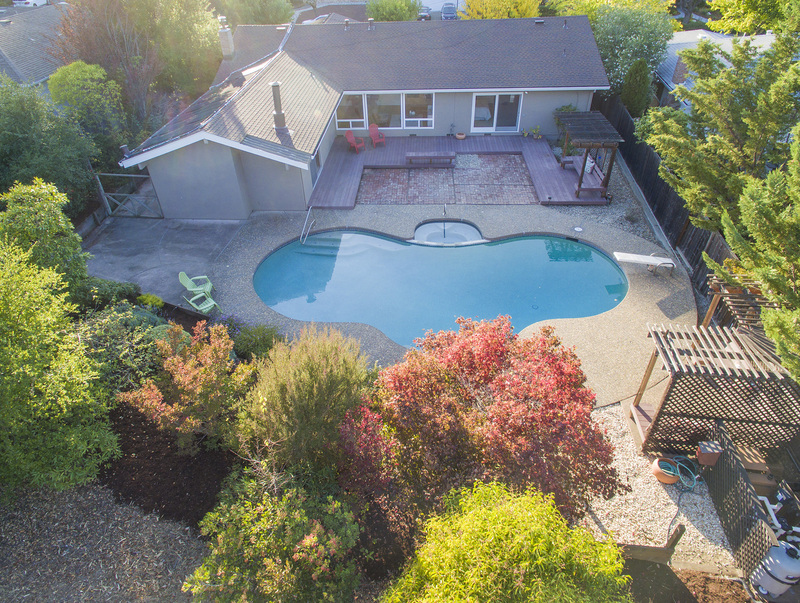 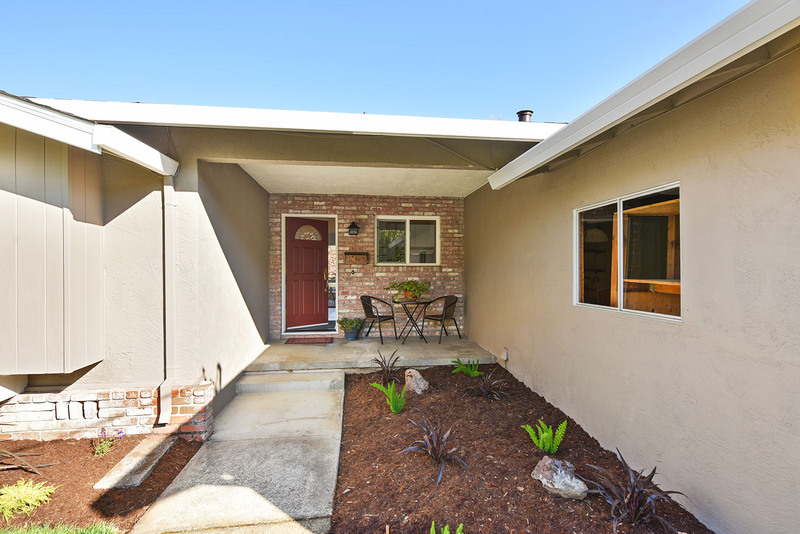 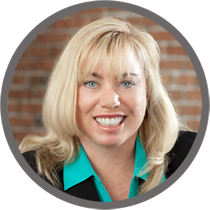 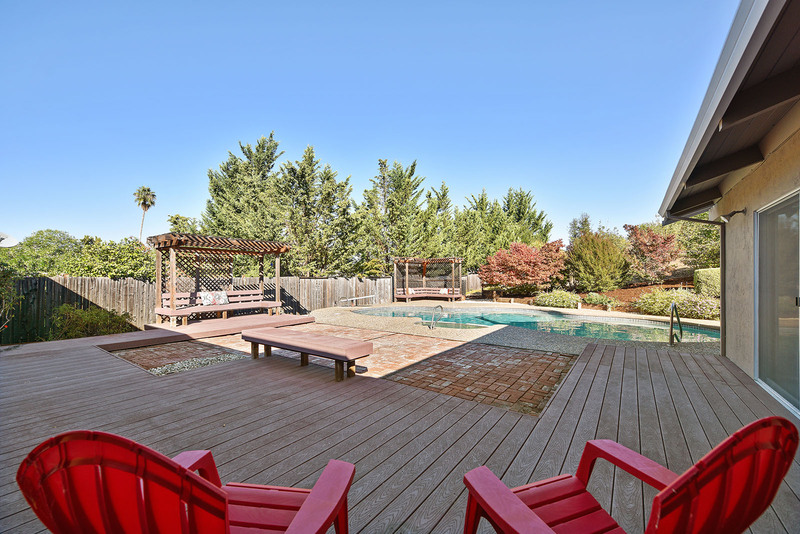 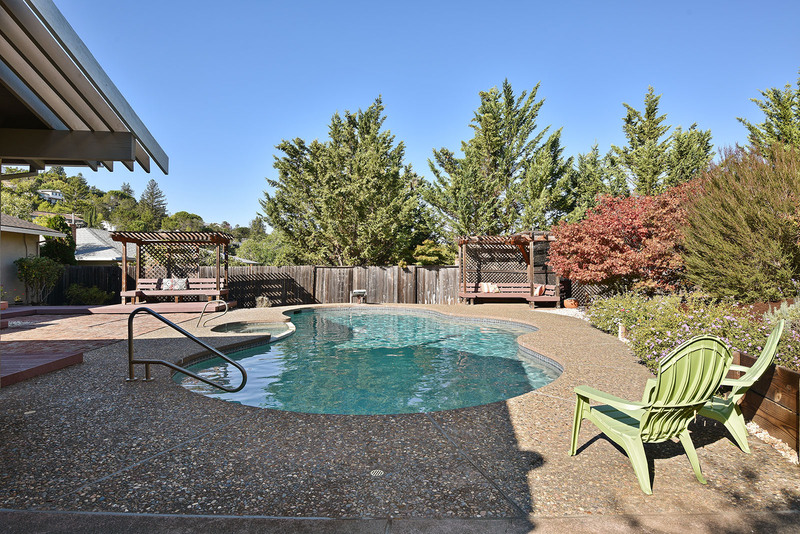 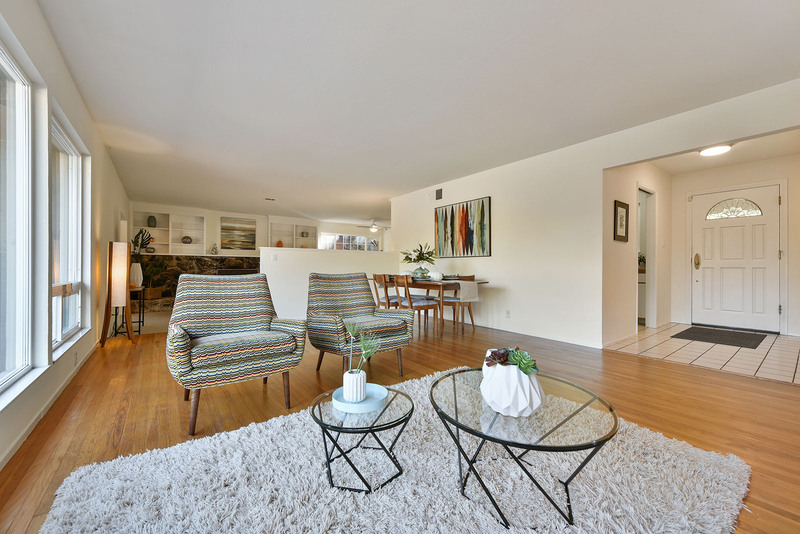 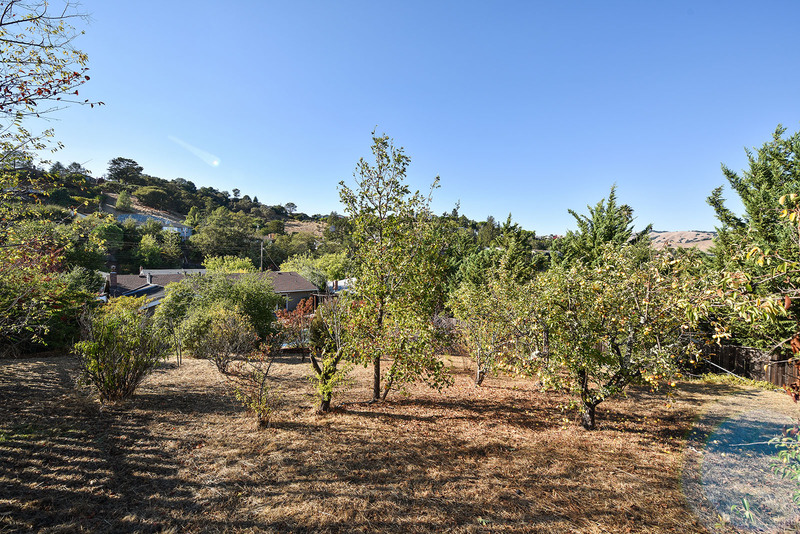 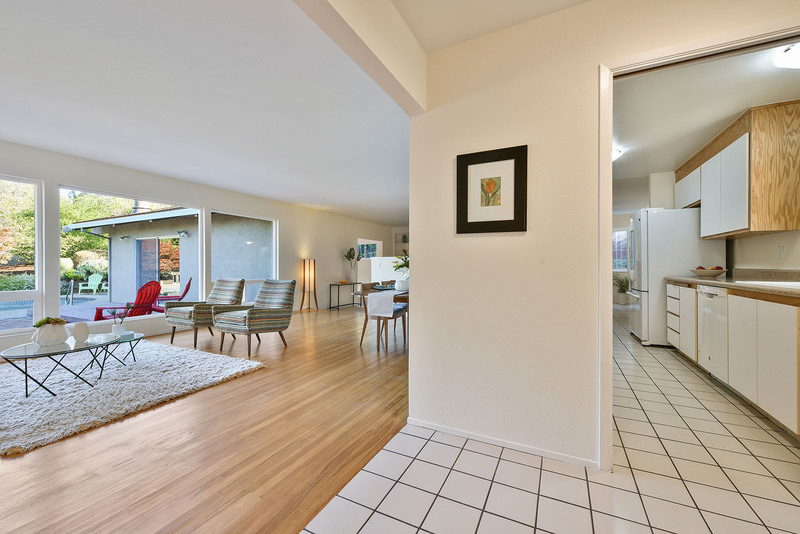 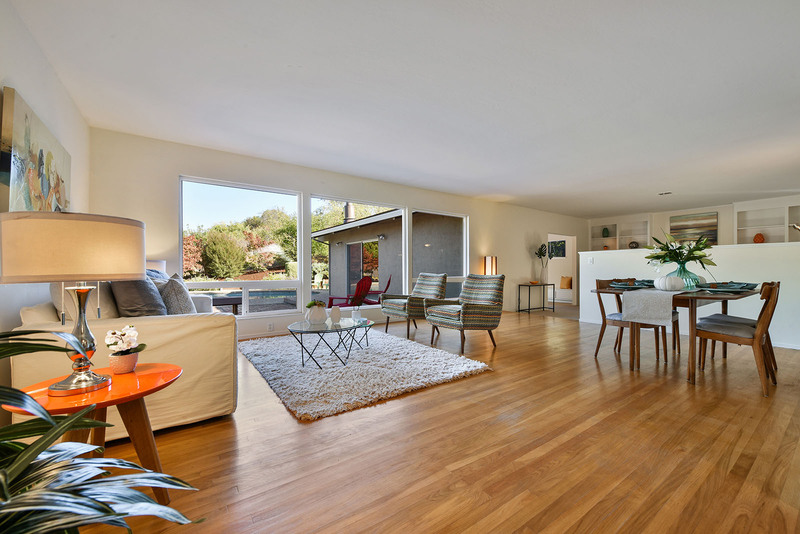 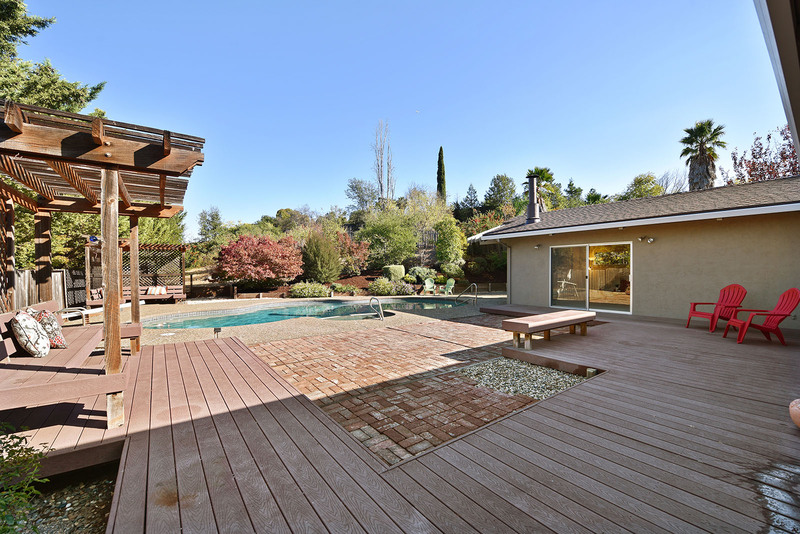 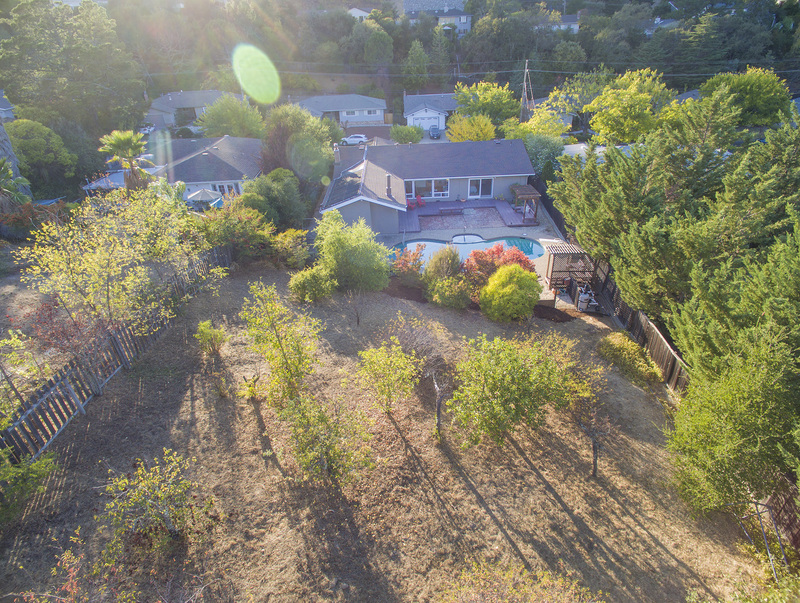 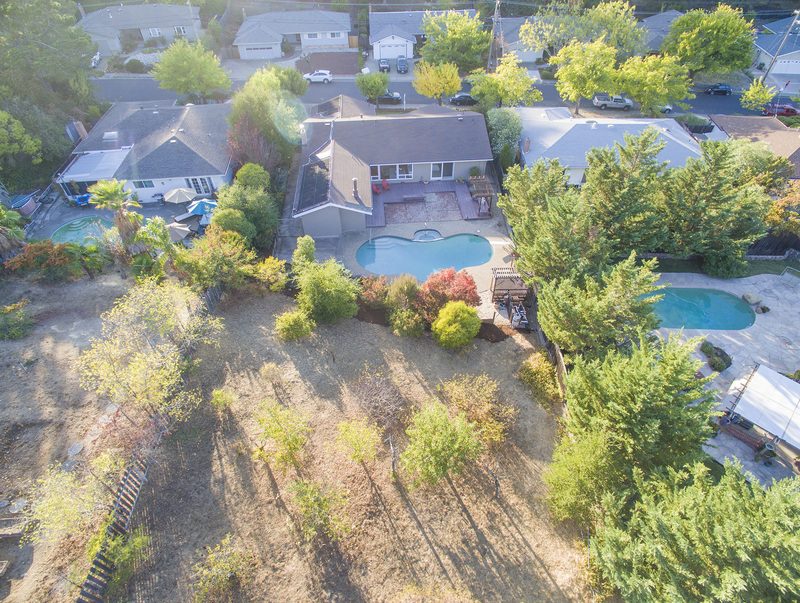 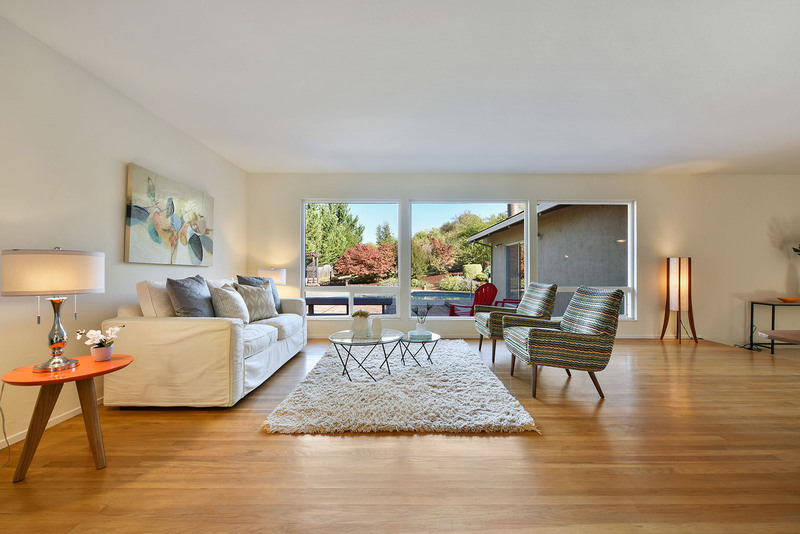 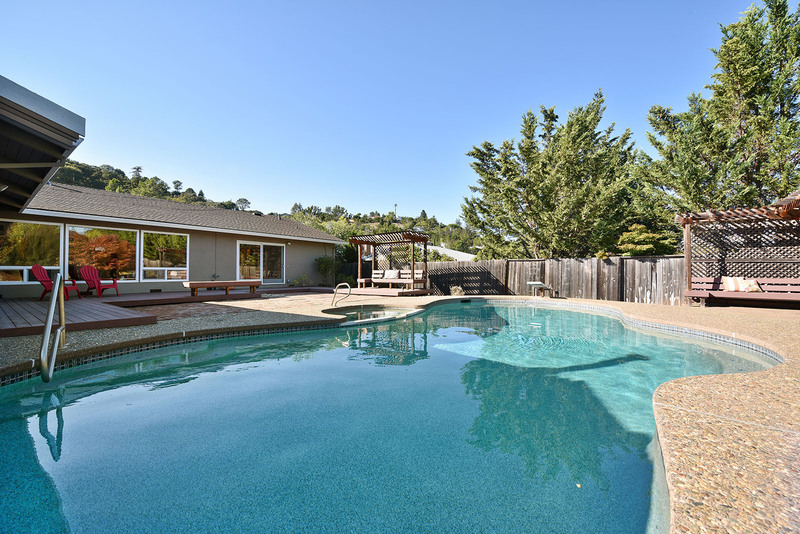 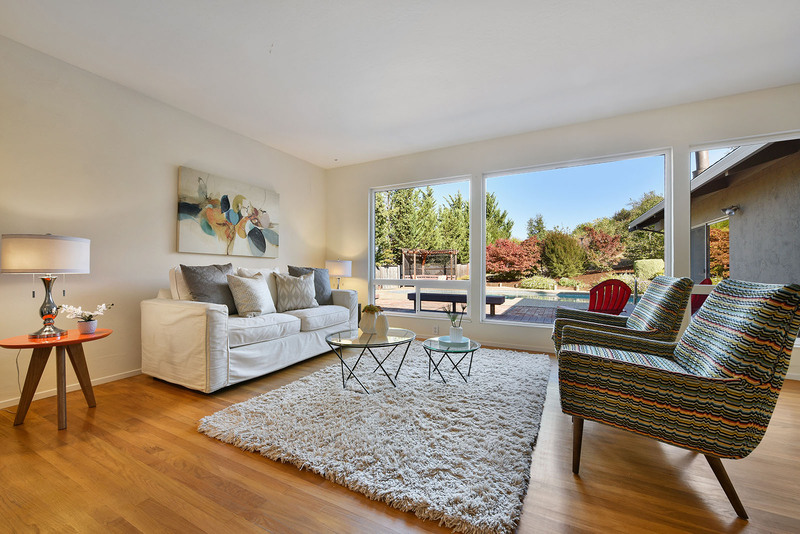 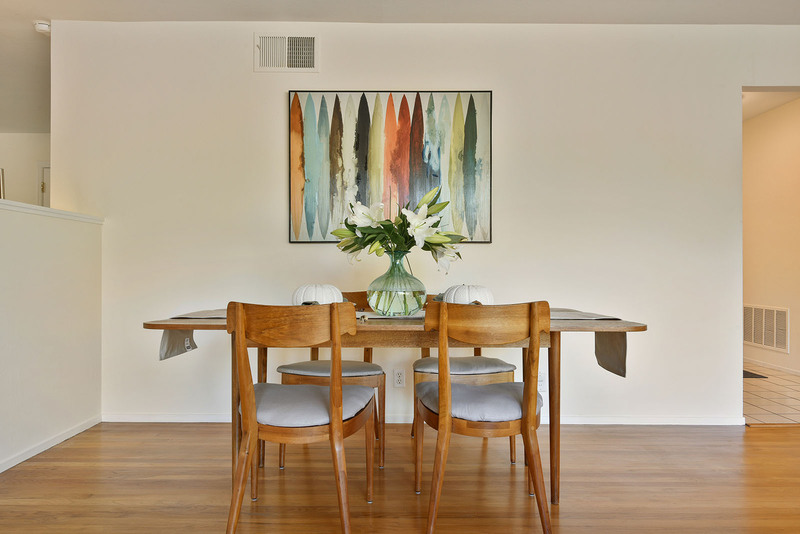 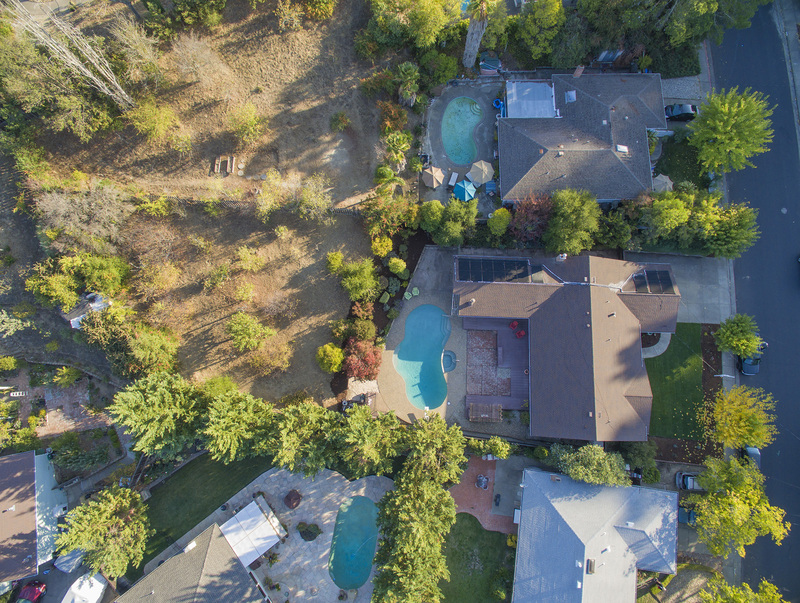 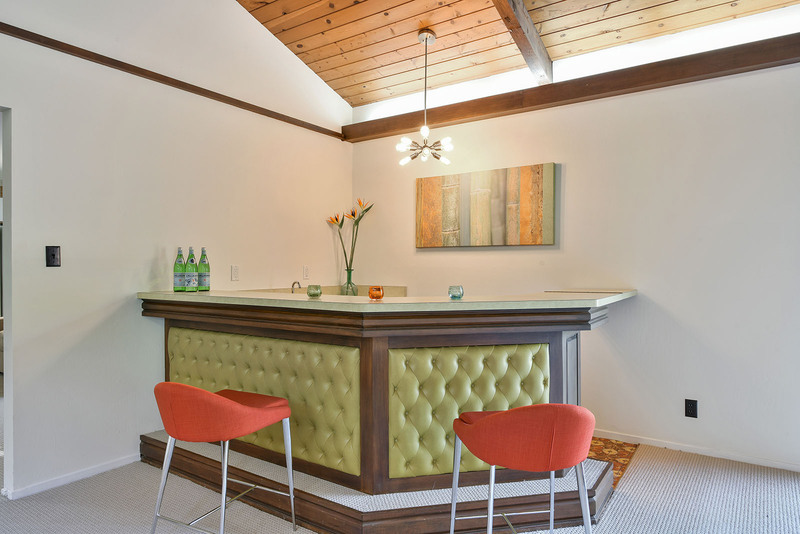 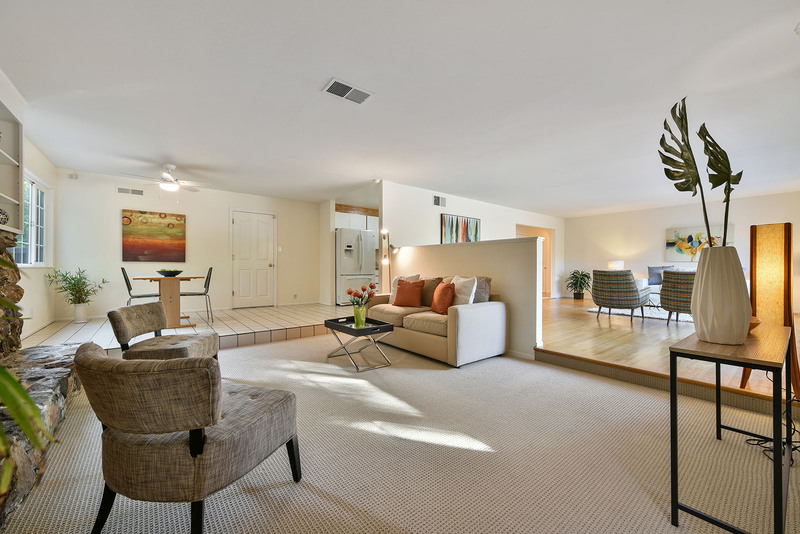 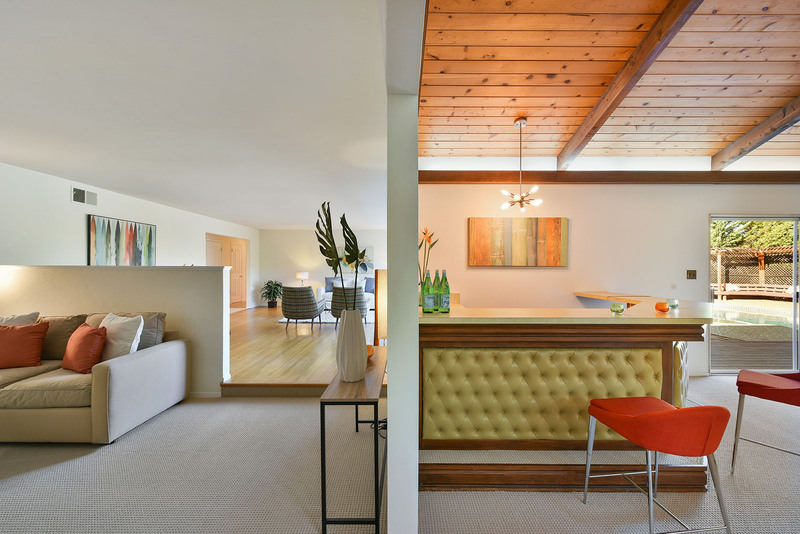 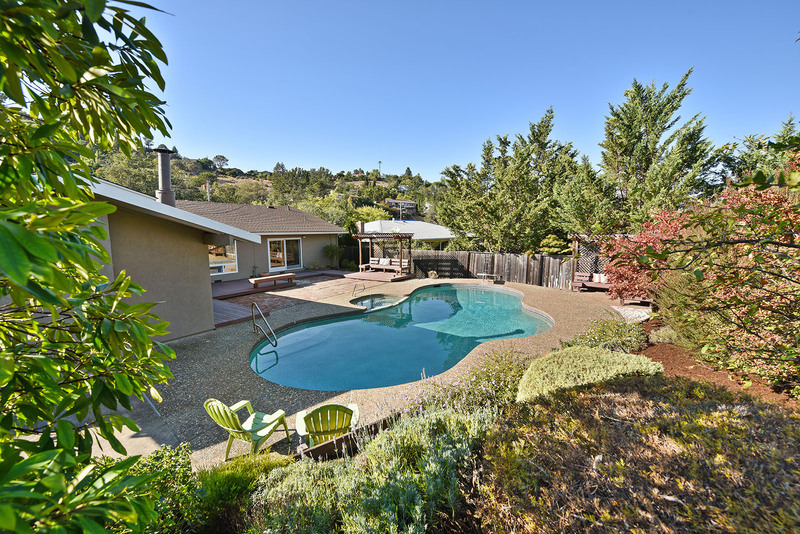 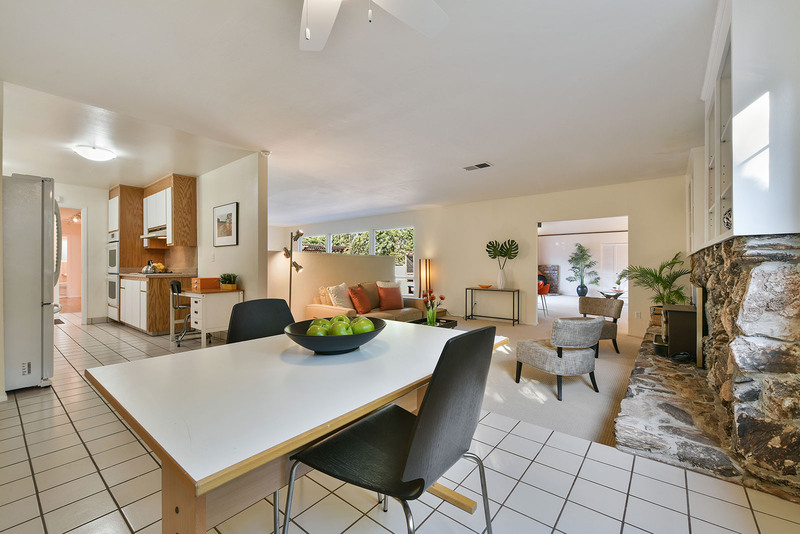 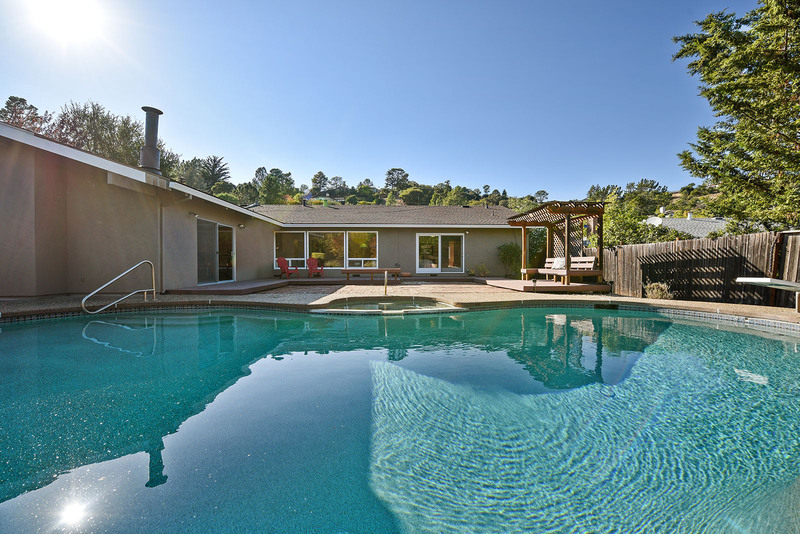 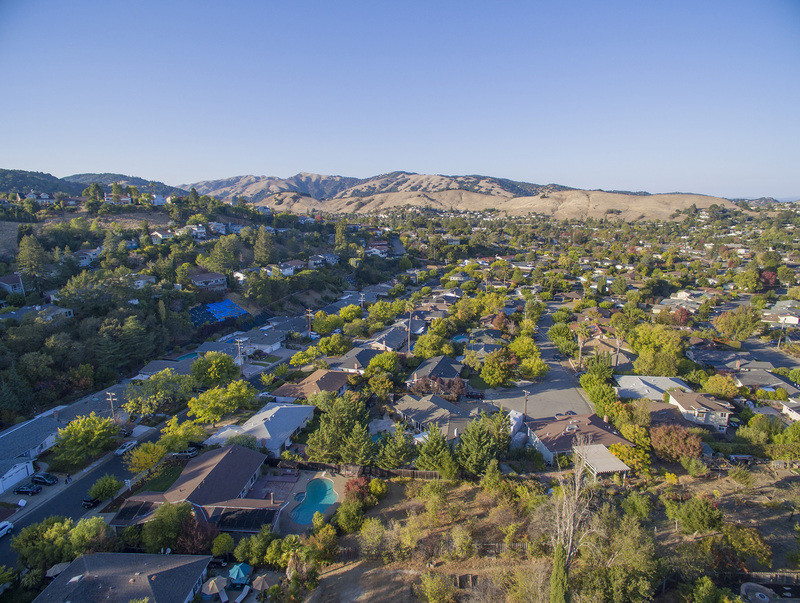 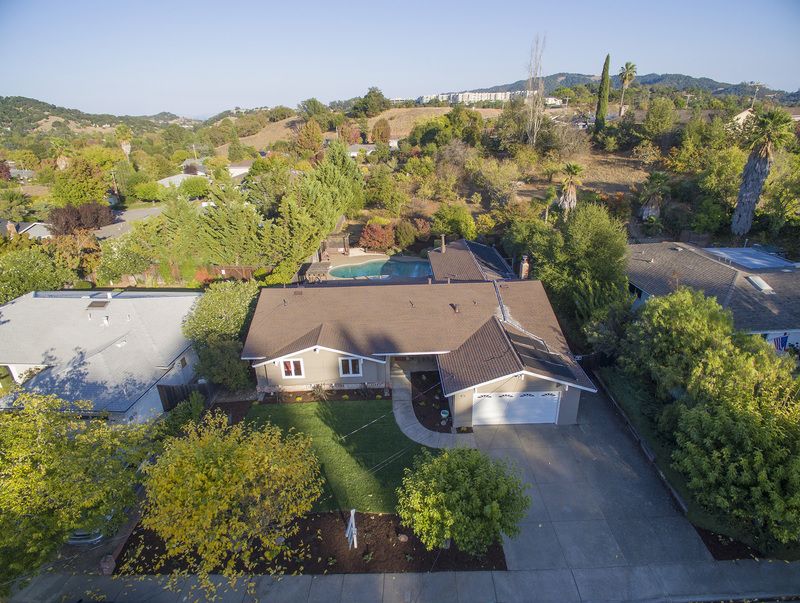 This home is in the sought-after Terra Linda neighborhood of San Rafael conveniently located just off Highway 101 and near open space. 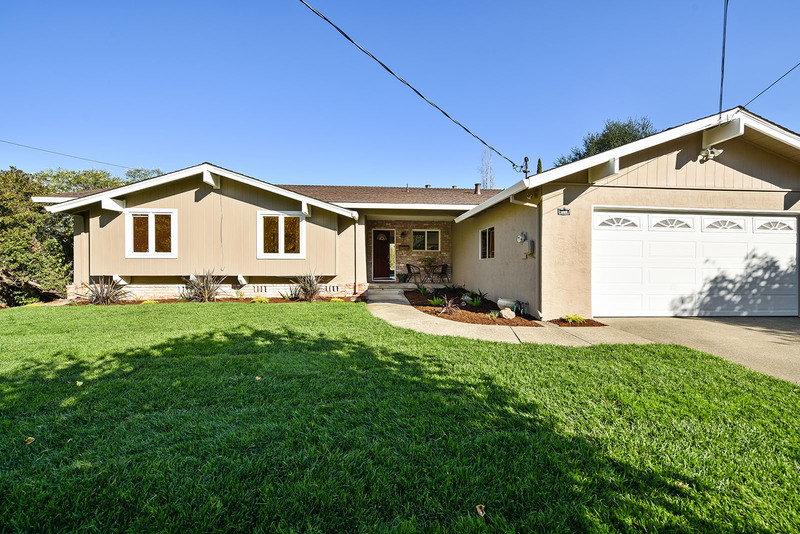 A beautiful freshly landscaped front yard and fresh exterior paint makes this home shine! 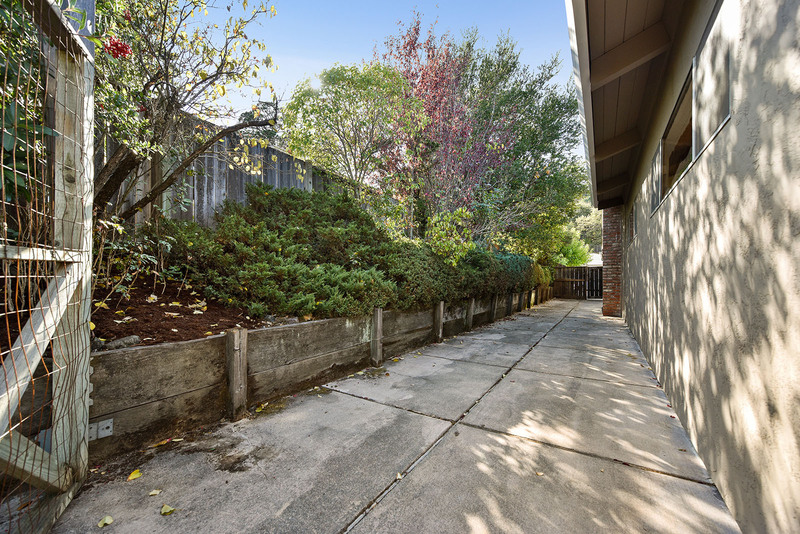 The back yard is fenced, and the side yard is perfect for a dog run. 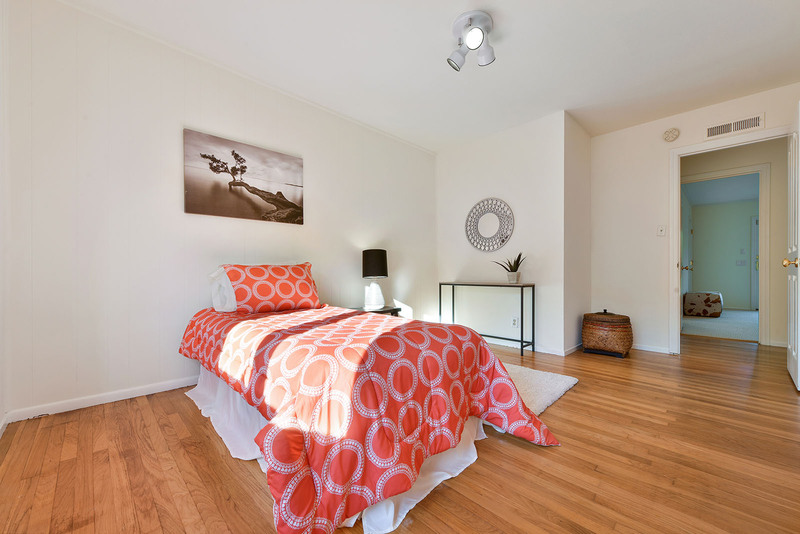 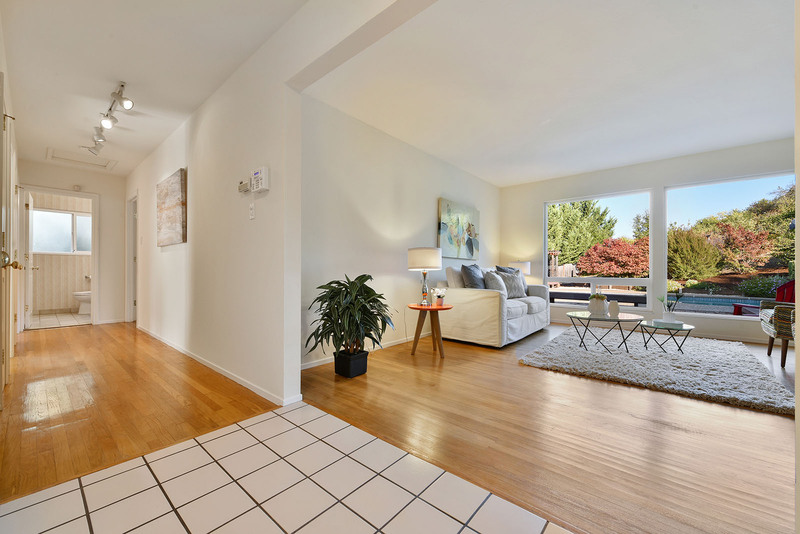 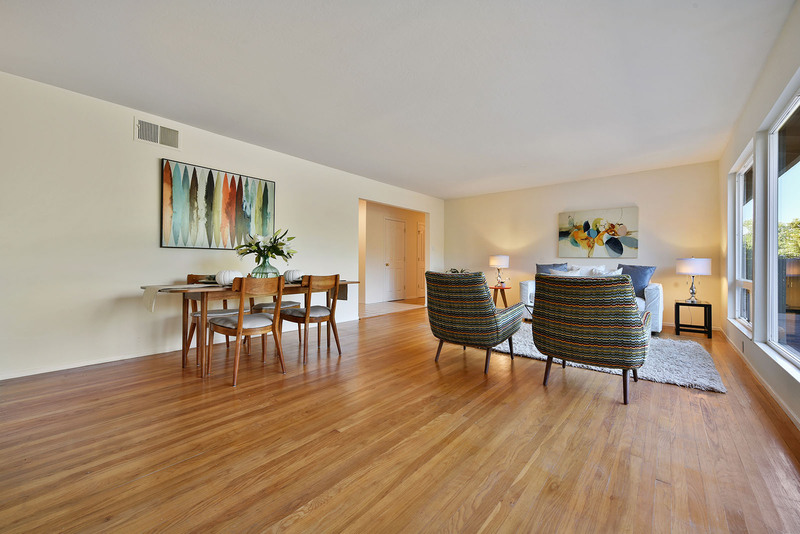 Great proximity to shopping, restaurants, public transportation and hospital makes for a very convenient location. 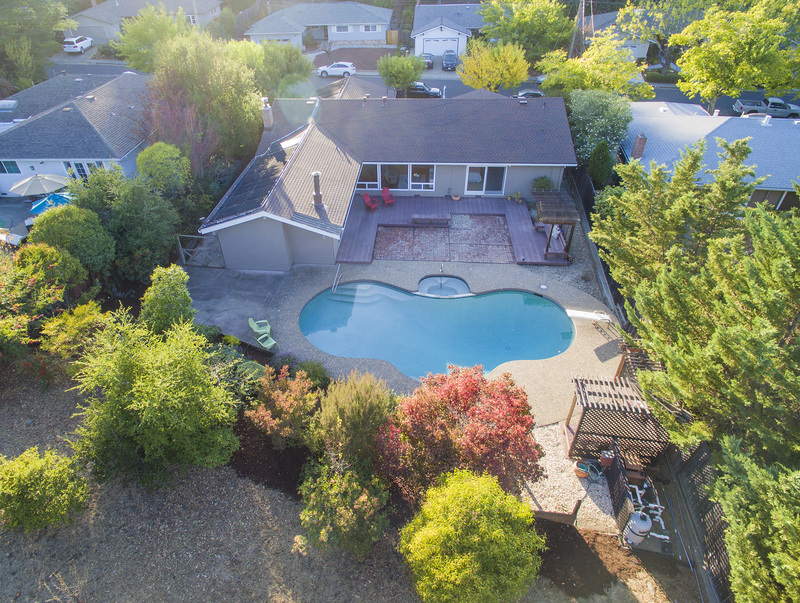 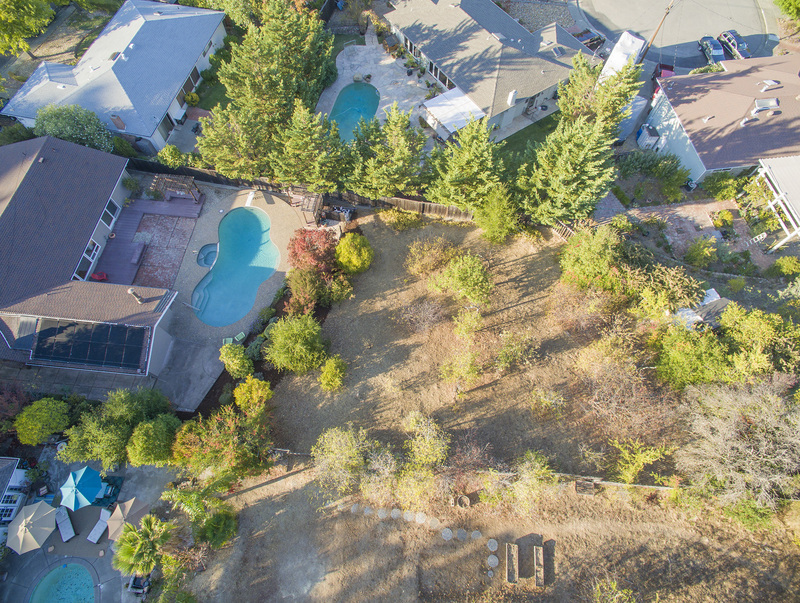 Single family homes on an extra-large lot with a gorgeous pool in Dixie School district don’t come on the market often-act fast on this one!